One of India’s most well-known Bollywood actors Vinod Khanna has died aged 70. Khanna, also an active politician, had been suffering from cancer and was admitted to hospital earlier this month as his illness became more serious. He acted in more than 100 Bollywood films and was widely seen as a counterfoil to the “angry young man” played by Amitabh Bachchan. He was elected to parliament four times and was once a junior foreign minister. 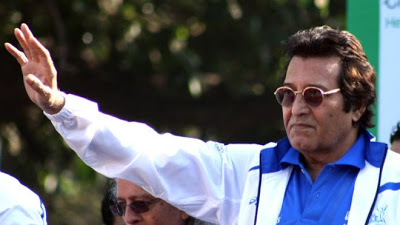 Khanna began his career in 1968 and was a household name in India, particularly during the 1970s and eighties when he played the starring role in a number of Bollywood hits. Tributes have been pouring in for Mr Khanna who died after a long illness. The hashtag #VinodKhanna has been trending on top of Twitter India. Indian President Pranab Mukherjee led tributes from politicians while many Bollywood celebrities also paid homage. Hey Buddy!, I found this information for you: "So Sad !!! Famous Bollywood Actor Dies Of Cancer". Here is the website link: https://360kwado.com/so-sad-famous-bollywood-actor-dies-of_27/. Thank you.